The Southern Far Drop is the Sky Pirate Capital city and the first Sky Pirate settlement following the Great Migration. Reasoning for it's location, Far Drop is a summer camp and a retreat that many Sky Pirates attended before the attacks on September 15th. Unlike the other districts such as the Eastern Far Drop, the capital is relevantly small when compared to the new territories that have been acquired. The Southern Far Drop is home to the youngest Sky Pirates ranging from Junior Pirates all the way to Group 3. 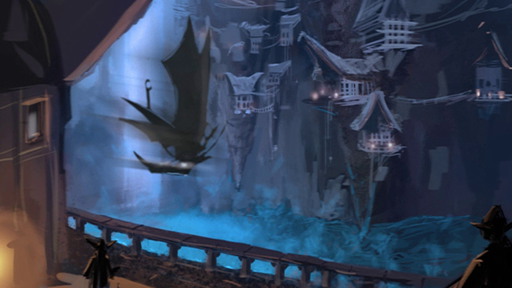 Far Drop is a popular destination for the Sky Pirate Alumni who travel sometimes rather long distances just to reconnect with their old way of life before Far Drop got involved in the war with the Fire Nation. The Southern Far Drop was originally a children's summer camp known as "Camp Pacer, Savannah Youth Academy, Savannah Youth University, SYA, SYU". There are many activities to keep everyone happy and entertained such as Project Adventure, Games & Sports, Arts & Crafts, and swimming at The Royal Palace. Because Far Drop has a great reputation, It has been ranked as the best sub-country in the United States. Far Drop is a small town located inside a cavernous area in The Brink. 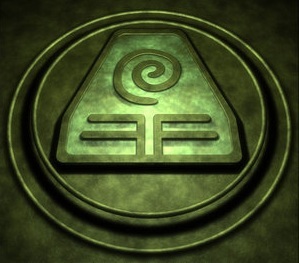 Reasoning for its location at The Brink and its origins are unknown as of yet; however, as it is controlled by the Eco Pirates, it's possible it was founded by them as a base of operations. Their control of the town is marked by a golden statue in the town of their leader, which possibly is Captain Phoenix. When the Dark Ape boss destroys the statue, a golden likeness of Jak and Daxter replaces it. During the course of Jak and Daxter: The Lost Frontier, Jak must free Far Drop from an invasion of evil mutant apes to win the favor and trust (not to mention safety from) the pirates. Far Drop is later on attacked by Aeropa and is pretty much ruined. No pirates are seen trying to protect their home town. However, following his salvation of Far Drop, Jak can pay certain Pirates in scrap metal to repair various ruined areas. The Pirates will give Jak Precursor orbs in return. ​Government: Far Drop is a Constitutional Monarchy for the fact that it is ruled by a king. Far Drop's current leader is Alexander Zdanowicz, AKA: King Alex, Alexander The Great II, Avatar Alex, Avatar Alexander. Far Drop has a Constitution and it's citizens are entitled to freedom of speech, a safe and caring environment, the right to voice their opinion about the country, and much more! As of now, King Alex is one of the most popular leaders in Far Drop history. Transportation: Many Sky Pirates own bicycles as their primary means of getting around. As soon as they enter Group 3, Sky Pirates are able to select a Schwinn Bicycle as their lifelong companion. Schwinn is exclusively for Far Drop. Culture: Far Drop's culture is based on the way of life at the Original Far Drop. Far Drop is a very dedicated community of people who wish to make the world a better place. Activities: There are many things to keep everyone entertained at Southern Far Drop, the most popular of all is speeding down the zip line. Far Drop's Palace is open daily from 9:00 Am to 5:00 Pm for swimming. Far Drop also has a drama club which puts on plays and shows from time to time. Residents: It is not known if any people are living at Far Drop other then the Dai Li Agents and Security Personnel who run the night shift. There is an Orphanage located in the Middle Ring which may suggest there are children living in Far Drop. 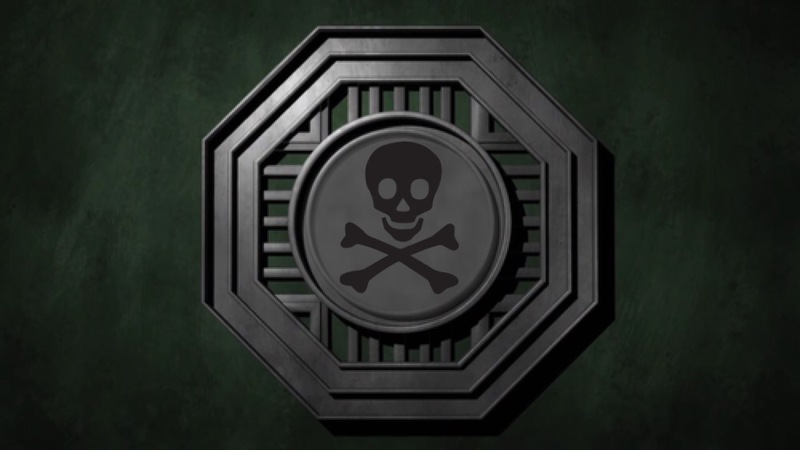 Sky Pirates And The History Of Far Drop: The Eco Pirates factions' existence before The Lost Frontier is practically unknown. The earliest mention was when Captain Phoenix joined (which was around Daxter) it can be assumed that they were a minor annoyance in the eye of Aeropa during that time but when the shortage of Eco began they actually started mass attacking anyone. And considering Phoenix' determination to defeat Aeropa the two probably helped greatly expand the faction. In Jak and Daxter: The Lost Frontier, the Pirates, under command of Phoenix were attacking anyone. 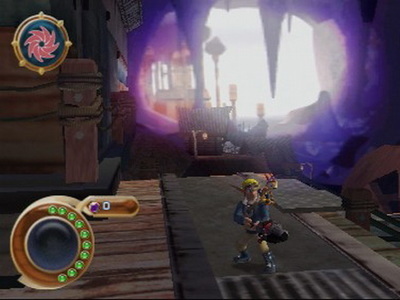 Eventually Jak, Keira and Daxter joined resulting in a series of quests for the Eco Core. The Pirates found it, but also engaged in a massive war against Aeropa, eventually they sieged it and destroyed most of the city (and lost many men in return). In a final battle against the ACS Behemoth, Phoenix sacrificed himself and the Phantom Blade to stop Duke Skyheed from taking over the world. It's unknown what happens to the pirates after The Lost Frontier, but they most likely rebuild their home and just lived life over Brink Island and Far Drop. 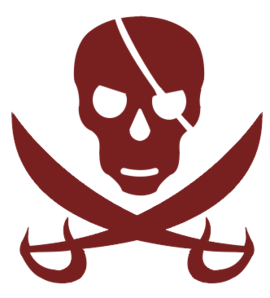 The Pirates have a variety of looks and builds, with some looking large and skinny, others fat and in many different shapes and sizes. Eco Pirates also have very different hairstyles, and some carry parots on their shoulder. Pirate physiology is,overall, similar to Haven citizens. Eco Pirates aren't seen to have had any kind of society. In the Pirate's city, Far Drop, the only signs of society were at Barter's Tavern, a small bar located in the town. Here, there were brawls (Jak and Daxter became involved on many of these) and trading going on. The leader was usually the best or he who was paid the most. All of the Pirates live at Far Drop, where they have a small village. Far Drop is made mostly of wood, with typical pirate decorations (such as lamps and barrels). Far Drop has often been attacked by dark eco monsters, and Jak has offered to donate scrap to help with repairs. The village contains an orphanage, a bar and many other locations, but Far Drop is small in comparison to other cities such as Haven. After the war, it was decided that Far Drop should move to America and adapt a better lifestyle. The Original Far Drop is located in a deep forest. Military of Far Drop: Unlike their opponent faction, the Eco Pirates primarily rely on their airships and flexibility. They don't have any particular abilities or weapons but they can be an effective force, as seen in the assault on Aeropa. Technology: Eco Pirates use typical 'pirate' weapons; simple handguns and swords. Many Sky Pirates are earthbenders, waterbenders, and airbenders. Only the Far Drop King can master all four elements at once. Other Vehicles: Eco Pirates use a big airship, the Phantom Blade, as a base of operations and for travel around the Brink. Normally they fly around inSky Raiders, which is the standard Airships. Besides, Eco Pirates are not known to use any other vehicles. Devices: A device called the Aeropult is a common way for quick travel around Far Drop. P.A. Equipment is also used to access some of the higher elements like the zipline and other challenge courses. Eco Pirates: Pirates are seen throughout Far Drop. They are also seen in Barter's Tavern. All pirates are adults however there is an orphanage in Northern Far Drop which may suggest that there are children in Far Drop. Original Far Drop: Far Drop is located inside an enormous cave that contains vast amounts of Eco Crystals. The cave also bears a waterfall that comes down from the top to the cave. Outside the cave is an unknown Precursor Structure and a Precursor Statue. Homes are constructed all the way to the top of the cave that holds Far Drop. Most likely the pirates use Aeropults to get up there. History: Most of Far Drop's history is unknown. However it was more than likely built as a base of operations for Eco Pirates. Far Drop WW1: The war seems to begin with eco Pirates (or Sky Pirates) attacking Jak and Keira'sHellcat on the way to the Brink, while Daxter manages to gun down two of the three ships with the tail gun. the main ship, the Phantom Blade then harpoons the Hellcat. Captain Phoenix and his back up pirate, Klout, drop onto the Hellcat and demand eco and a fight starts between Jak and Phoenix. Klout is tipped over the side by Keira tilting the Hellcat because he was aimed on taking her out and as a result Jak falls on his back and nearly falls off. Just as Phoenix was about to shot Jak his dark part tries to kick in but is prevented by the chaotic nature of eco near the Brink and Jak now knows that it`s extremely painful to transform and it might also kill him in the process. It shocked Phoenix and after inadvertably claiming there are more people who are like Jak he attempts to shoot him again. But, Daxter chases Phoenix off with the Tailgun but damages the Hellcat's left wing, As Jak pushes the darkness back he jumps back in the Hellcat and makes a crash landing due to a fuel leak from when Daxter shot the plane.They land on one of the Islands of the Brink, Jak and Daxter need to find a source of eco to repair the Hellcat. They later find a green eco crystal to give to Keira to wire it into the Hellcat for power They then realized that they found a way to convert dark eco into green eco. When they take off they have to fight off Sky Pirates that are attacking the ACS Behemoth. When they land on the Behemoth, Duke Skyheed introduces himself and invites Jak, Daxter, and Keira to the Grand City of Aeropa. While in Aeropa Duke Skyheed and his right-hand man, Chancellor Ruskin, give Jak the eco Seeker to see if he can power it. However he fails due to the amount of dark eco in the area. Keira then asks if she can study it. The Chancellor agrees to let them see it for a week if Jak passes the Danger Course. When Jak and Daxter have proven themselves in the Danger Course, Duke Skyheed and the Chancellor give Jak the eco Seeker. Then Captain Phoenix attacks the building and steals the eco Seeker and Keira goes after it and ends up getting pulled into Phoenix`s ship. Jak and Daxter then chase Phoenix but are led into a trap resulting them to land on another Island again because his Hellcat was shot full of holes. On the Island the duo meets a castaway (later known as Tym). The Castaway automatically knows that Jak has been touched by dark eco because he is a dark eco sage (but no one knows this until the near end of the game). When Jak asks what his name is, The Castaway says he can`t remember. Jak also asks if he know anything about the robots on the island. The castaway made them to help him on the island, but they turned against him. Jak then asks if he can repair his Hellcat and The Castaway says in order for him to fix it he needs a Velonium Power Pod from his Uberbot-888. The Uberbot-888 is the most dangerous robot he ever built. After Jak and Daxter get the Power Pod. The Castaway fixes his ship and sneaks on board. When Jak and Daxter take off they destroy the Phantom Blade's engine and defenses causing Phoenix to let them land. Upon board Jak and Phoenix get into an argument which is broken up by Keira. Keira then makes Jak and Pheonix shake hands to make a truce to not fight. When Jak find out that the eco Seeker is missing two parts, they travel to Far Drop to get the first piece from a female pirate. When they travel to the Old Aeropan Barracks, Jak comes across a testing table (similar to the one he was experimented on in Jak 2). He then gets angry that someones been experimenting with dark eco and that whoever did it should be destroyed. 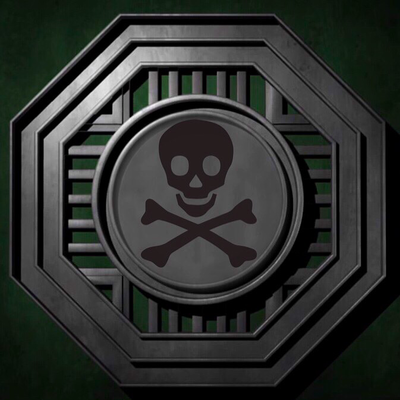 When they find one of the Coordinates, The Castaway reveals that he is ( or once was) a Dark sage and that he built the facility for the Aeropans. Phoenix then states that he was once the commander of the Aeropan Air Forces. He was put in charge of a secret weapons program to make a new class warrior (similar to the Dark Warrior Program). When he realized what they were doing, he refused and tried to stop the program, but Skyheed wouldn't hear about it. So he took the only option and kidnapped the program's chief scientist (The Castaway) and marooned him on Brink Island to hide his work from the Aeropans. But, it was too little and too late because Skyheed spreaded the dark eco to all of his citizens which meant that every Areopan is infected with dark eco. They declared Phoenix an outlaw for his crimes. So, he became just that, fought back, and swore to destroy him. Phoenix was just about to shoot Jak because he still thinks that he's one of them and mostly because he saw the creature Jak nearly became. But, Keira got in the way of Phoenix, claimed that Jak isn't a monster, and told Phoenix that if he cares about her at all he would spare Jak because she admits that she needs Jak more than anything in the world. After The Castaway gets Phoenix to go in the right direction to undo the damage they've done by using Jak to help them bring down the Areopans. Jak agrees to put them out of business without hesitation. When the location of the third coordinate sphere is found, the duo fly the Phantom Blade to Sector Zero. When they get the third sphere the Behemoth attacks the Phantom Blade and Jak has to defend it. Back on board, Jak, Daxter, Keira, Phoenix and the crew fix the eco Seeker. The eco Seeker then points to the Abandoned Research Rig. Then Phoenix states that the Research Rig was built over strange formations. It is then revealed to be a Precursor facility from long ago. When they reach the eco Core, Keira tries to fix it. Then Klout brings Skyheed to the eco Core. Phoenix then realizes that Skyheed paid Klout to get information on where the eco Core was. Skyheed then told Klout to kill them. However Keira then presses a button which begins to activate it. Klout is then killed by eco Radiation and Jak, Daxter, Keira, and Phoenix escape, leaving Skyheed behind. Back on board, a message is sent stating that the Aeropans have laid a siege to Far Drop. 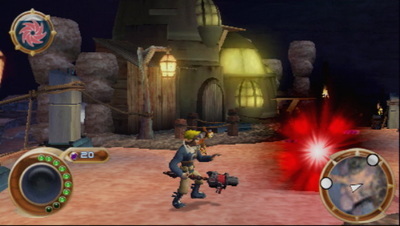 Jak and Daxter are sent to defeat Aeropan Shock Troopers attacking Far Drop. Then the Behemoth appears to destroy Far Drop. Jak and Daxter then successfully destroy the Behemoth's weapons causing the Aeropans to retreat. On board the Phantom Blade, Phoenix wants revenge on Skyheed for the attack. Then another message is transmitted anonymously, telling them to use the old barracks warp gate. Jak, Daxter, and Keira get through the warp gate, Jaks Gunstaff weapons are disabled. Jak then has to destroy the Weapons Control System to use his weapons again. When Jak's Gunstaff begins to work, he heads up to the palace to defeat Skyheed. When Jak encounters Duke Skyheed, Skyheed begins to draw on mass amounts of dark eco transforming him into a dark eco Monster. Jak tries to defeat him but Skyheed escapes on an Airship. 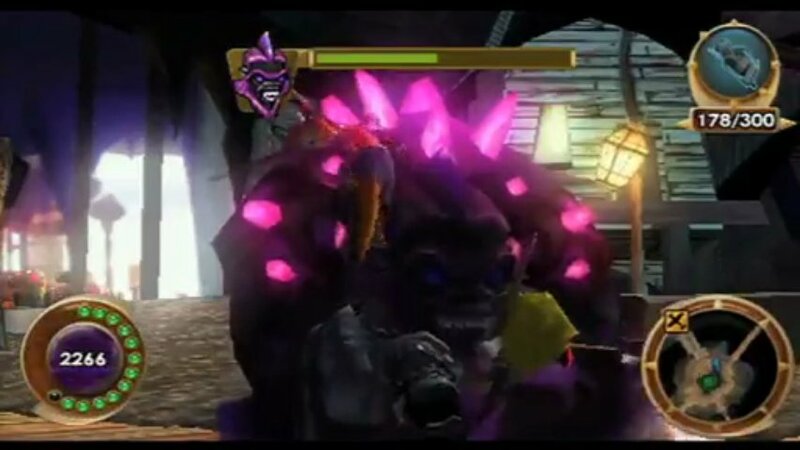 Jak then takes an airship and chases him but Skyheed leads him into an obstacle course and Skyheed retreats to the Behemoth to take power from the eco Core. Jak then has to stop the ACS Behemoth from stealing eco Power from the eco Core. Shields surround the Behemoth but the Phantom Blade disables them. When Jak destroys the eco crystal on the Behemoth, Phoenix flies the Phantom Blade between the eco Core and Behemoth to prevent them from taking eco. But unfortunately the Phantom Blade gets destroyed and as a result, Phoenix gets killed. However, the Behemoth is now vulnerable to attacks. Keira then installs a light eco Beam in the Hellcat to finish the Behemoth off. When the Behemoth is finally destroyed with Duke Skyheed, all of the eco returns to the eco Core making it balance again. Keira then activates the eco Core and the Core channels energy which travels to eco Vents around the world ending the eco shortage and reduces storm and quake activity in all directions. Keira then channels eco energy for the first time. The Castaway then reveals his name is Tym. Keira then tells Jak that she and Tym have been decoding the symbols at the Core and that the circles at the core are attached to other energy lines. Keira says they have some exploring to do. Then Keira and Jak end the game by having their kiss interrupted yet again by Daxter because he wanted to know if they`re planning something without telling him. So Jak does a vote on who wants to go an another adventure, Keira then jumps on and says "two to one, done" then Jak and Keira kissed. Then Daxter got upset, but he ended up saying fine and agrees to go with them. ​Captain Pheonix: He was the leader of the Sky Pirates and captain of the Phantom Blade, and the main adversary of the Aeropans. First introduced as an antagonistic figure, he eventually became a close ally. Dai Li and Law Enforcement in Far Drop: The Dai Li is the secretive and elite police force of Far Drop who work to capture, interrogate, and imprison political dissidents as well as anyone who does not comply with the rules. 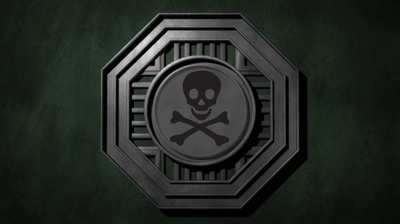 The organization was founded by Avatar Kyoshi with the aim of "protecting the cultural heritage of Far Drop", effectively protecting the King Alex's interest against subversive individuals and groups as well as terrorist gangs and other threats to Far Drop's safety. 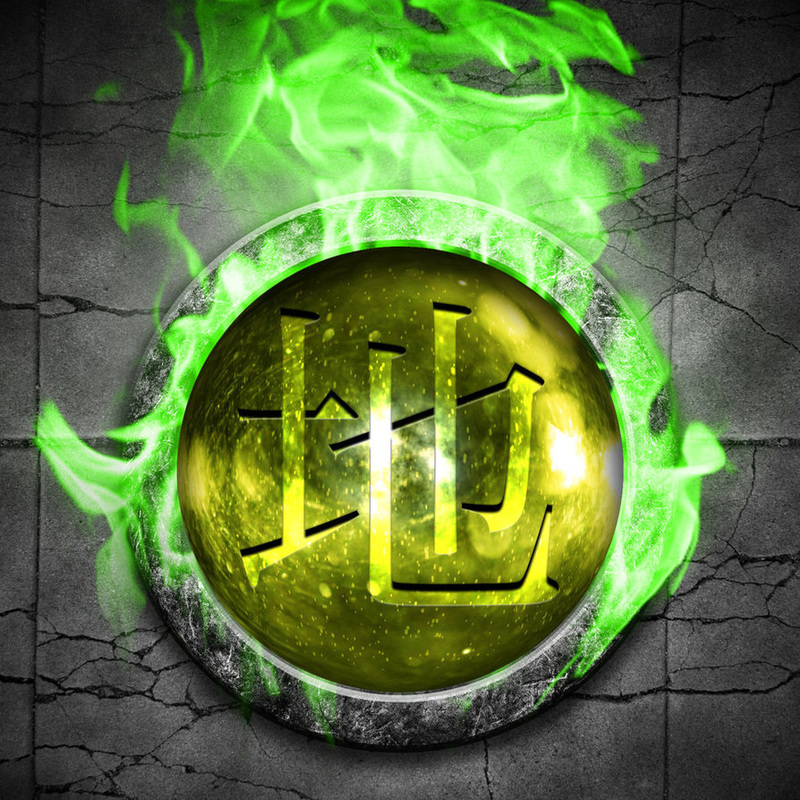 The Dai Li are highly skilled earthbending masters, whose talents even surpassed those of the Earthbender Guards of the Royal Palace. Trained exclusively by Avatar Kyoshi herself, they were taught in the art of stealth and precision. Aeropa: Aeropa is a location visited in The Lost Frontier. A seemingly innocuous and well-meaning city, it was ruled by the hospitable Duke Skyheed and his more austere counterpart, Chancellor Ruskin. The city is located along the Brink, though its geography and locus is difficult to determine. Its society comes off as sophisticated and dignified, which corresponds with its classical architecture and elegant aesthetic. However, Jak would eventually find himself at odds with the Aeropans soon after interacting with the Sky Pirates, a band of pirates led by the Aeropan rebel and former commander, Phoenix. Aeropa had a not-so-secret Dark Warrior Program developing, and unlike Haven City's program, succeeded in producing a mass army, which was made up entirely of Aeropan citizens. Their military also consisted of a robust aviation corps, including a fledgling Navy that served as either the successor to or branch of the Aeropan Air Force. The city's leadership and population ultimately met its fate, however, and its future remains unknown. Far Drop After The Aeropan Attacks: Efforts are being made to help restore the Original Far Drop to it's original state. This process started the day after the attacks and is one of the largest restoration projects in Sky Pirate history. ​​Far Drop is a rather primal village built along the back walls of a large cave known as Pirate's Cove, which is situated along the edge of the Brink. The entire city is built from wooden structures and metal scaffolding, and its economic mainstays include frequent low-level passers-by, a docking crane, a power plant, a cabbage farm, and a bar. It also features an orphanage, though the cause of its necessity remains unknown. Little is known of Far Drop's early history. Its location had remained hidden from the Aeropans for most of its existence, allowing it to be a safe zone from Aeropan hostility. When Phoenix rebelled against the Aeropans, he became close with those in Far Drop, and presumably recruited his pirates from there. A statue in the likeness of Phoenix was also erected downtown. At some point, a relatively intelligent lurker named Barter became the de facto leader of the town, describing himself as the "top dog" around Far Drop. He either founded or became the owner of several establishments and structures, including a tavern, an orphanage, a cabbage farm, the crane at the docking station, and the town's power station. 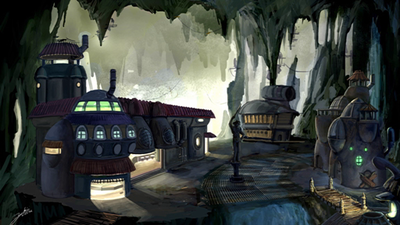 ​​Far Drop is a rather primal village built along the back walls of a large cave known as Pirate's Cove. A network of several huts and other structures can be found littered across the cave wall, though they do not appear to be connected. Jak and Daxter were known to use aeropults several times to access these unconnected locations. While ordinary citizens were never observed to use them, the frequency in which the aeropults appeared throughout the town could suggest the launching devices were common modes of transportation (and they were indeed known to be used by the town orphans). ​There is a small wooden runway in front of a small hangar which allows inside access to the town. To the left of the runway is a large water wheel, which is also visible from inside the town. Elsewhere in the cove includes a pirate radio tower to the east, a Precursor statue at the mouth of the cove, and several dark eco crystals throughout the area. Beyond the cove is a collection of Precursor structures, around which a piece of the Jaguar can be found. Most of the village consists of wooden structures and metal scaffolding, embedded within the natural material inside the cave. There are several small huts reminiscent of the lurker huts at the lurker village from Jak II. Other common elements include rice paper roofs and lampshades, indicative of the town's stereotypical "pirate" theme. Far Drop is a location in The Lost Frontier and in Minecraft. It was notably the home to Barter, a pirate who served as the primary manager of the town. Far Drop significantly served as a refuge to pirates and outsiders alike, having flown under the radar for most of its history. As such it was quite connected with the Sky Pirates. Jak first visited Far Drop by the request of Phoenix, who asked him to retrieve supplies for their coming voyage. Upon arrival, Jak met Barter, who told him he would need to defeat the mutant apesthat had shown up a few months prior and had been tormenting the town since. Jak agreed and completed the task, though afterward Barter requested that he complete an additional task for scrap, involving Jak instigating a bar brawl to "liven up" the tavern, to which he obliged. Later on, Jak and Keira discovered that their eco seeker needed a set of coordinate spheres to operate, one of which was located at Far Drop. When Jak arrived at the tavern, Barter directed him toward the Saucy Pirate, who had the coordinate sphere in a glass bottle. She agreed to part with it only via a duel, with Daxter himself being Jak's wager, who the female pirate noted would make for a nice fur coat. To Daxter's vexation, Jak agreed, though he ultimately bested her in the ensuing boss battle. Jak lastly visited Far Drop after the Aeropans discovered its location and laid siege upon the town. Shock troops of Aeropan commandos, gladiators, and sub-commanders fronted the incursion, ravaging and all but razing the primal village. Fortunately, Barter devised a plan to save the town, which involved employing Jak to carry out an attack on the Aeropan dropship with a bomb stolen from the Aeropans. The "master plan" was completed successfully, though the shock troops were followed by an Aeropan air assault in Pirate's Cove. Jak swiftly provided air defense, with the Aeropans carrying out air strikes with heavy fighters and attempted laser strikes with the ACS Behemoth's new dark eco weapon. Although Jak ultimately stopped the Aeropans, Phoenix relayed that the siege went badly, and that he lost many friends in Far Drop, prompting a retaliatory siege on Aeropa. Following the hangar is a short introductory area, with the loading docks and a large crane to the left, and large shipping containers to the right. Ahead of this is the main square which mainly consists of huts, but also includes access points to other areas in the city. Placed in the center of this area have been two large golden statues, the first resembling Phoenix, and the second one resembling Jak and Daxter (replacing the former after its destruction). 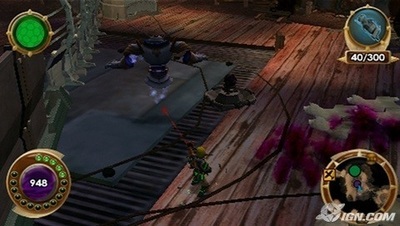 Of note is the addition of several metal gates and other steel structures during the siege, which influenced Jak's path of travel different from the first mission. The layout of the town itself remained the same nonetheless, though some parts of it were destroyed or rendered inaccessible due to debris blockage. Most notably, all but the north east paths in the main square were completely blocked after returning to the town following the siege. To the north east of the main square are a few wooden bridges that lead toward Barter's tavern. 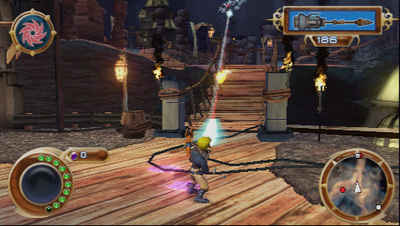 During the siege, all of the bridges were destroyed, requiring Jak to traverse various gaps throughout the town with floating platforms. However, the bridge leading to the tavern formerly crossed over a stream, thus Jak navigated the stream instead of a platform, using the eco shield power. Notably, this stream led Jak around the back toward the tavern, whereas the bridges lead to the front. The tavern itself is considerably small, with a service bar to the right of the entrance, and a large stage opposite of the entrance. In between are several small round tables with four chairs. Other bar decor includes neon signs, pirate flags, and large wooden kegs, some of which pour endless amounts of beer into a small beer moat surrounding all but the entire interior. There is also a small VIP dining area on the opposite side of the moat, though this is never seen to be in use. One other particular characteristic of the bar is the revocation of firearms, leaving Jak with nothing but a melee club in the Gunstaff. Outside of the bar to the north west is an aeropult. This launches Jak in a south-facing direction; toward the power station. This station consists entirely of metal scaffolding, with large arcs of electricity in between the corridors at certain points. Green eco crystals are present in these areas, allowing Jak to use his eco construct power to avoid getting shocked. At the end of the power station is the main control room, which contains several computer monitors and other terminals. There is notably one entrance to a smaller portion of the station, which was used by Daxter via an eco shield/hamster ball segment. To the west (or, to the right upon entrance of the control room), are a series of fast-moving platforms that must be slowed down with eco reflexes to traverse (for which there is a Precursor idol upon first visit). Once traversed, there is a small island that allows access back to the main square via eco rocket jump. To the south west of the main square is a very long wooden bridge that leads to the town's cabbage farm. It consists of a stretch of metal segments situated along the wall of a cave, with wooden planter boxes along the outer edge. They only contain cabbage, for which voltaic eels are common pests. At the end of this is another series of rapidly-moving platforms, following which is another short row of cabbage boxes, following which is an aeropult, which launches Jak back to the main square. During the siege, the south west area was visited in order to access the Aeropan dropship, which was docked near the cabbage farms. Daxter notably utilized the inside of the farm structure during an eco shield/hamster ball segment. To the north of the main square is a small room with two large metal platforms, one of which rapidly moves up and down. 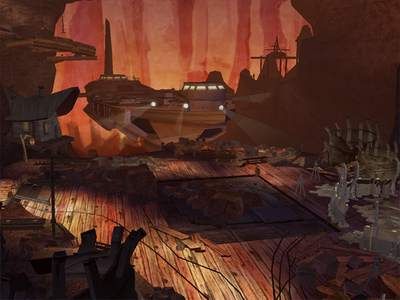 During the siege these two pieces of machinery were completely destroyed, and the area was instead used to access an aeropult that would launch Jak toward the Aeropan dropship. During the first mission, however, the moving platform could be slowed down enough with eco reflexes to reach a higher cave level, notable for its platforming challenges. Firstly there are a series of extremely sensitive teeter-totter platforms, which may sometimes require the deployment of eco reflexes. Between these platforms are more rapidly-moving platforms like those found in the north east side of town. Following this area is the town's orphanage, consisting of a housing complex, a hop-scotch game on the ground, a tether ball and pole, a basketball hoop, and most notably an aeropult in the back. This one launches you back to the main square.